As a majority of the global workforce especially those in traditional sectors like manufacturing have started to age, it is becoming increasingly important for businesses to look at stringent measures to ramp up workforce productivity. Companies are investing more and more into R&D and technology upgradation but these are highly risky and guarantee no returns whatsoever or ensure productivity gains. What is imperative is to get the workforce equipped since productivity is more or less centred on what people can or are capable of doing. This comes across as hiring the right talent, developing them and retaining them through apt performance appraisals and compensation schemes , providing flexible work options to women and older employees and mentoring young achievers. 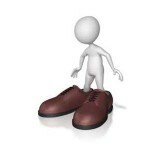 The prime objective here is to ensure that good resources stay and grow with the business. 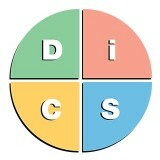 Increase self- awareness and personal effectiveness through DiSC Classic 2.0. Buy it here….. If people have to be productive , they have to be given conducive environments to work. Each individual based on their priorities would grow and excel in varied environments. Online DiSC Classic helps employers to understand the behavioural priorities of people. DiSC classic 2.0 test defines behaviour as responses to the environment and this is determined primarily on the basis of the most repeated responses. Highly objective in its assessments DiSC classic profiles , incorporates into its questionnaire design the fact that each individual may have unique responses to the environment. Thus online DiSC classic assessment can help employers develop environments that are conducive for individual and team productivity by assessing unique responses of employees to environment stimuli. The online DiSC Classic 2.0 tries to predict human behaviour on the basis of the individual’s perception on whether an environment is favourable or unfavourable to them and on the extent of control they have over it. Using these frame of references an individual is assessed for their most repeated behaviours. 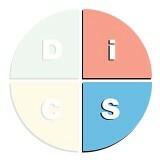 Their profiles are then developed as a blend of the four DiSC styles some of which are more prominent than the others. Based on the most prominent style an individual’s behavioural tendencies , needs , preferred environments, and strategies to bridge challenges in behaviour or interpersonal interaction etc are detailed. An organisation can use the report to identify roles that an individual can excel in. By assigning them to such roles productivity is sure to increase. 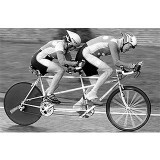 The other is to put them into teams where they are likely to express themselves best . This in turn minimises conflicts. Going one step forward, online DiSC Classic profile , on the basis of predicted behavioural tendencies develops an intensity index which shows how strong or weak certain traits are in the individual. This can be used as guidelines for manager to delegate tasks to them or to understand the factors that would motivate them or drive them towards enhanced productivity. Using the intensity index , individuals can be appreciated for their strengths giving them the feeling that they are unique and valued in the organisation which in turn would increase their effectiveness in the environment. DiSC Profile – Confused about which one to use? Next story Online DiSC Classic- What makes it so popular? Previous story How Does an EPIC Administrator Account Work?